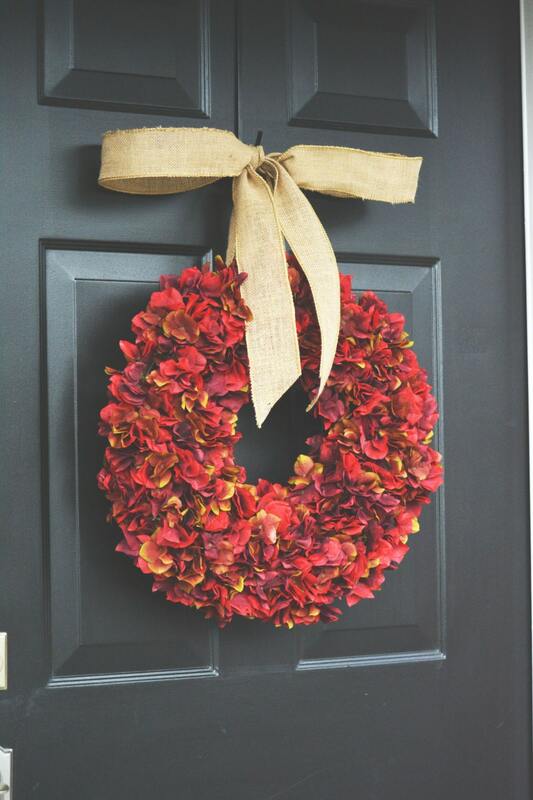 This stunning fall wreath shown contains 6 large bushes of red hydrangea (hint of sage) silk hydrangeas creating a large, full, gorgeous wreath. 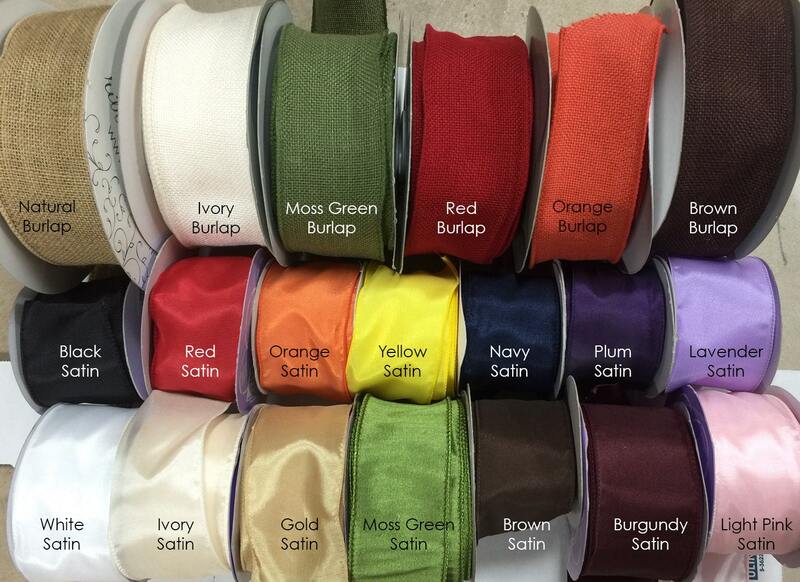 Your choice of natural or colored burlap or satin. 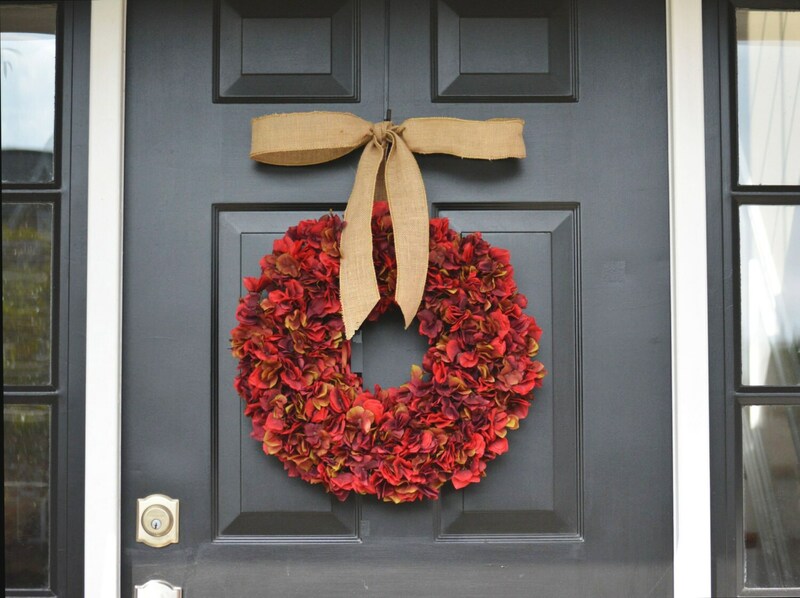 Total diameter is 18-19 inches wide 25 inches tall and 6 inches deep on the wreath shown. Other sizes are available. Ribbon Colors- (Sturdy, thick 2 1/2 inches, WIRED ribbon is only used) Natural Burlap is shown. Fast delivery, and came exactly as pictured on site. Seller was on point! Love it! 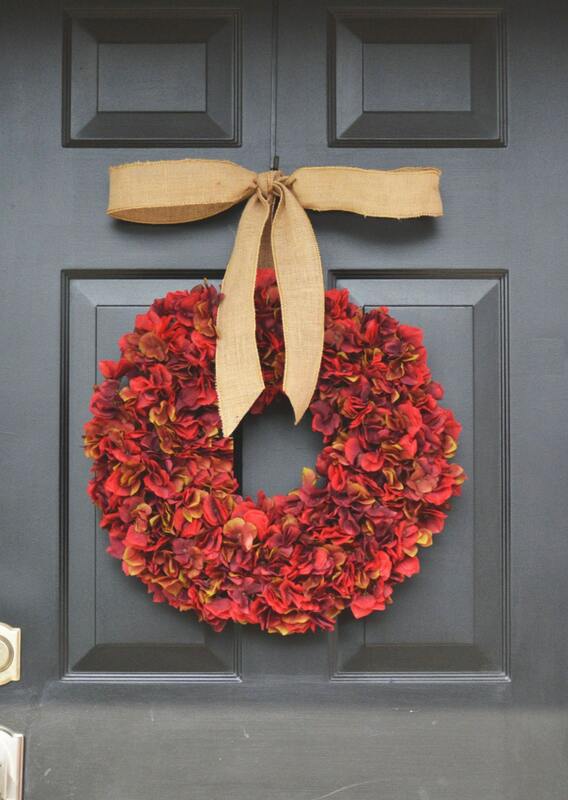 Beautiful wreath! Looks fantastic on the door. 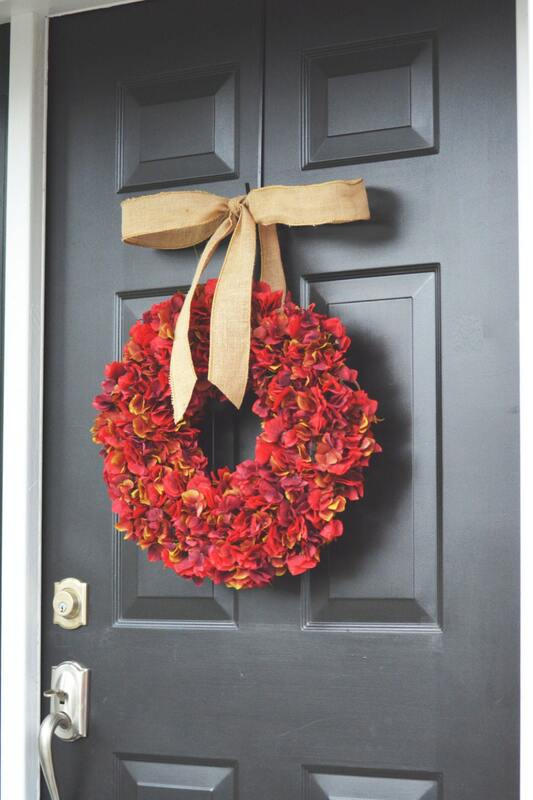 Wreath was just as described! Absolutely love it! Thank you!